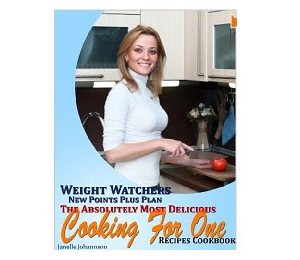 Amazon is offering up 38 FREE Kindle eBooks full of Weight Watchers recipes! There’s a lot of variety within the list. Instead of a bunch of generic cookbooks, each one is focused on a particular type of dish, holiday, culture or some other unique theme. Even though they’re all FREE, I still have a favorite that in my mind is a must download. Get Weight Watchers New Points Plus Plan: The Absolutely Most Delicious Cooking For One Recipes. You absolutely can’t go wrong with that title and it looks great for nights that everyone doesn’t want to eat my healthy food. As always, verify that the price is $0.00 before you purchase because these could go up at any time.